Is there a link between Your Gut, Fermentation & Bacteria? 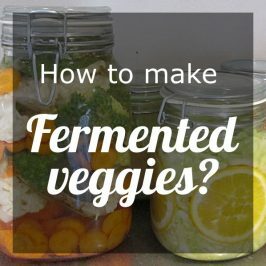 Before I fell in love with fermentation and everything about it, I greatly underestimated fermented food, what it had to offer & how it would change my life for the better. 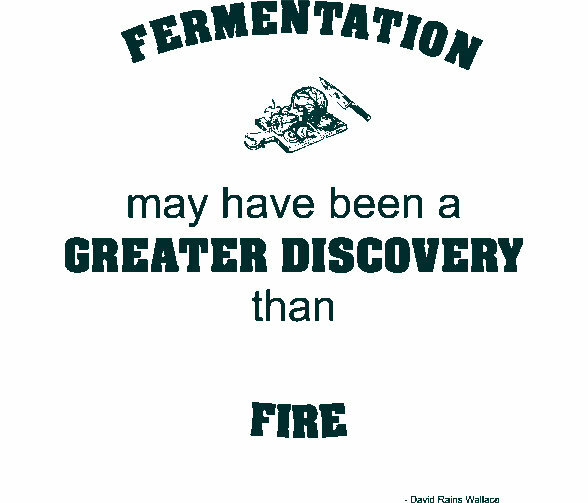 Fermentation is a metabolic process that converts sugar to alcohol, lactic acid and acetic acid which is all “biopreservatives” that retain nutrients and prevent spoilage. Fermenting food is not a new trend it dates as far back as 12 000 years and may be as old as man self. Food fermentation is found throughout human cultures everywhere over the globe. Many of your favourite foods and drinks probably went through some form of a fermentation process, for instance, Bread, Wine, Beer, Cider, Chocolate, Coffee, Tea, Sauerkraut, Kimchi, Salami, Miso, Tempeh, Soy Sauce, Vinegar, Yogurt, Kefir and Kombucha. Yogurt, for instance, was produced by lactic acid bacteria in milk and molds were used to produce cheese. These processes are still in use today for the production of modern foods. We need bacteria to breathe, fight disease and fully digest our food.. Yes, there is such a thing as good bacteria; we need these little microorganisms (also known as microbes) to live! Basically, there’s Good Bacteria and Bad Bacteria present in your body. In a healthy body, the good and bad bacteria are in balance. As soon as the bad bacteria grow too much it causes an imbalance and some symptoms of ill health will develop. Later the overgrowth may cause enough discomfort for the person to seek help. keeping the balance to enjoy a healthy and happy life! So, not all bacteria are bad for you. Your body, for instance, is host to 100 trillion microorganisms. That means our human body cells are outnumbered by microorganisms at a 10 to1 ratio <<< that’s 10 microorganisms to 1 human cell! There are 300 – 1000 different species of microorganisms living in our bodies’ on average 500 species about 99% is bacterial. A good bacterium called Lactobacilli is the most common of all which is both convenient and important to know. Lactobacilli contribute to the protection of the body against infections and stimulate the immune system. Dr. James Mercola points out that 80% of our immune system is in our digestive system, in the form of microflora, and that these good-guy bacteria prevent allergies by training our immune system to distinguish between pathogens and non-harmful antigens and to respond appropriately. Lactobacilli act as anti-oxidants, scavenging cancer precursors are known as free radicals. Lactobacilli are present on the surface of all living things. You can easily learn the techniques of growing and using them to convert starches and sugars in vegetables and fruits into lactic acid, a natural preservative that inhibits putrefying bacteria. Generally, sugars and starches feed the bad bacteria and we rather want to feed the good bacteria by converting starches and sugars by means of lacto-fermentation. The good bacterium that we depend on the most in Lacto-Fermentation is Lactobacilli. 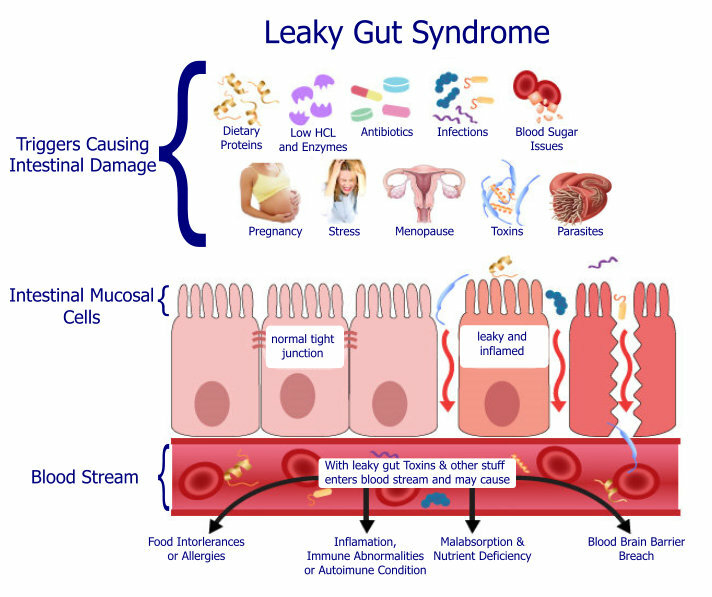 Lacto-fermented foods improve the digestion process by regulating the level of acidity in the digestive tract and by stimulating the production of beneficial intestinal flora. The mucous membranes of our intestinal tract are protected by bacteria that create an acid environment in which pathogenic bacteria cannot multiply. Lactic-acid bacteria survive transit into the large intestine. They can prevent the growth of coliform bacteria and prevent agents of cholera from establishing themselves in the intestine. They can even inhibit and inactivate certain carcinogens. The culturing process generates superoxide dismustase GTF chromium, detoxifying compounds like glutathione, phospholipids, digestive enzymes, and beta 2,3 glucans. Sauerkraut (lacto-fermented cabbage) contains large quantities of choline and acetylcholine which lowers blood pressure. Acetylcholine also has a beneficial effect on the peristaltic movements of the intestine. Sauerkraut is also rich in Vitamin C it is documented that the settlers ate it because it kept the crew healthy and prevented scurvy. 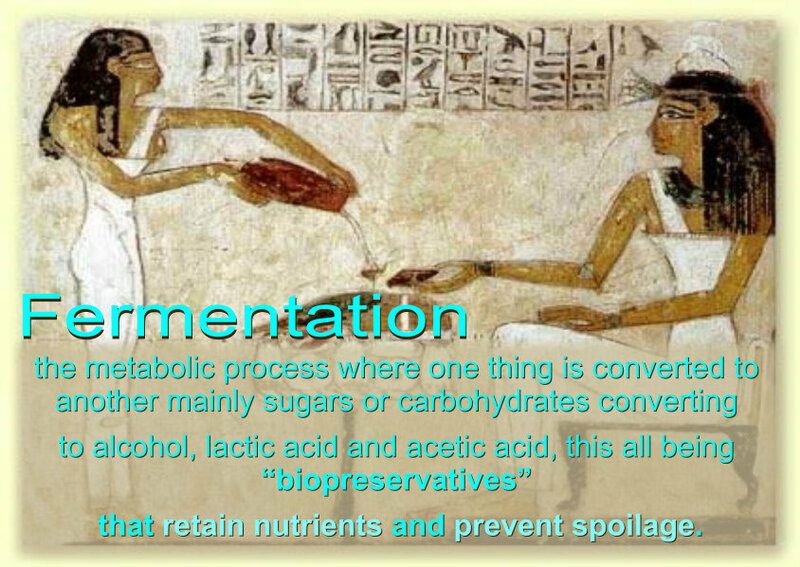 Lacto-fermentation removes toxins from foods. For instance, it removes cyanide from cassava, rendering it edible and nutritious. Less dramatic, but more important for grain-based cultures, it removes phytic acid from grains, nuts and seeds, which otherwise would block mineral absorption and lead to deficiencies. 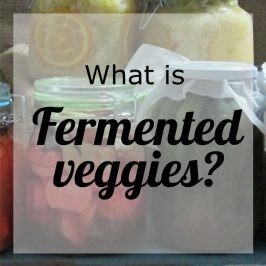 Fermentation makes foods more nutritious, as well as delicious. In short fermenting vegetables preserves all kinds of nutrients, vitamins & minerals that you wouldn’t get in otherwise and have a vast range of nutritional benefits. 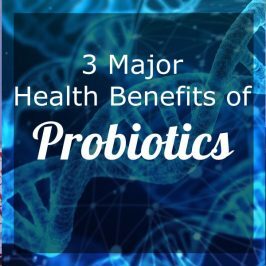 The health of the beneficial bacteria in the gut directly relates to the risk of chronic illness. Advanced and comprehensive research done by Stephanie Seneff Senior Scientist at MIT has shown that there’s a correlation between the health of the beneficial bacteria in the gut and the risk of heart problems, Diabetes, Asthma, Autism, Aggression amongst other diseases westerners suffer from constantly. Doctor Natasha Campbell-McBride, the neuroscientist who found the gut and brain link actually fed her child out of the autism spectrum mostly with foods that boosted the probiotic count in the body! With her research, she has helped people with cancer and other autoimmune diseases to live healthy robust lives. 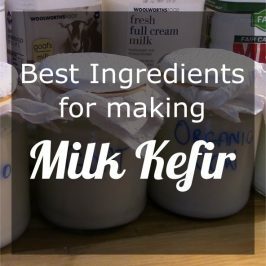 Kefir is created by the fermentation of milk by the bacteria and yeasts. The kefir grains lives on the lactose in the milk. That is why kefir is suitable for those who are otherwise lactose intolerant. Kefir is similar to yogurt, but because it is fermented with yeast and more bacteria the final product is higher in probiotics. Made from fermented cabbage and other vegetables, sauerkraut is not diverse in probiotics but is high in organic acids (what gives food its sour taste) that support the growth of good bacteria. Sauerkraut juice has been studied to benefit digestive issues like leaky gut, diarrhea, and constipation, and is also effective at helping you kick a cold fast. Kimchi is a cousin to sauerkraut and is the Korean take on cultured veggies. 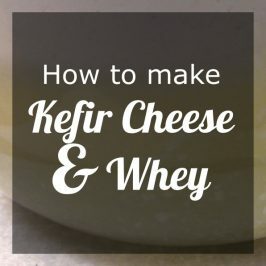 his dairy-free option for kefir has some of the same probiotics as traditional dairy kefir but is typically not as high in probiotics. Still, it has several strains that are great for your health. A popular dish in Japan consisting of fermented soybeans. Natto contains the extremely powerful probiotic bacillus subtilis, which has been proven to bolster your immune system, support cardiovascular health and enhance digestion of vitamin K2. Natto can also contain vitamin B12, which is lacking in vegan diets and is one of the highest plant-based sources of protein at 17.7 grams per 100-gram serving size. Kvass is a common fermented beverage in Eastern Europe since ancient times. It was traditionally made by fermenting rye or barley, which gives it its mild flavor. In more recent years it has been created using beets, fruit, along with other root vegetables like carrots. Kvass uses lactobacilli probiotics, which have blood- and liver-cleansing properties. 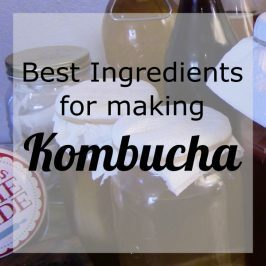 Kombucha is an effervescent fermentation of black tea that is started by using a SCOBY, also known as a symbiotic colony of bacteria and yeast. Kombucha’s primary health benefits include digestive support, increased energy and liver detoxification. What’s the difference between Water Kefir, Milk Kefir & Kombucha?